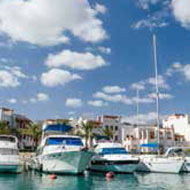 At the heart of Muriya's developments are our marinas. State-of-the-art, well-positioned and secure, our superyacht marinas offer havens for visiting and resident yachts, as well as hubs for our communities, surrounded by retail shops, cafes and leisure options. Built close to two prominent local ports – the ancient Khor Ruri and the Port of Salalah – Hawana Salalah Marina offers easy access to open water and is the only superyacht haven on the south coast of Oman. The marina is encircled by various boutique retail shops as well as specialty food and beverage options. With 84 berths – 31 of which for superyachts – and 115 additional dry berths, the state-of-the-art marina at Jebel Sifah Marina is picturesquely located less than 40 minutes from Muscat. Its position makes it the perfect place from which to explore some of Oman's stunning, less-frequented coastline. 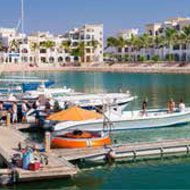 Add to this world-class fishing and sailing, Jebel Sifah is a true yachting haven.